War correspondent and author Jill Jolliffe explored the reporting of World War I and, in particular, the work of official historian C.E.W. Bean, editor of The Official History of Australia in the War of 1914-1918. Below is an edited extract from the talk she gave at the Library in 2015, which was the result of Jolliffe’s World War I centenary fellowship at the Library. Here she details the landing at Anzac Cove and Beans’ probable whereabouts at the precise time. 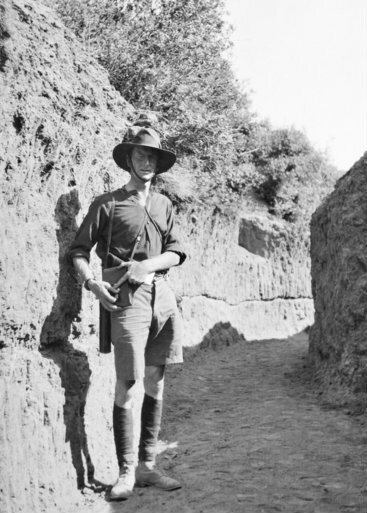 ‘[C.W.Bean] was to play an enormous role over decades in recording the history of the war and working for an honourable memorialisation of all who died in it (The Australian War Memorial in Canberra was part of this legacy). He was an English-born Oxford graduate who had worked on the Sydney Morning Herald for the six years preceding his arrival at the front. Once at the front, Bean aimed to observe every battle and was admired by the soldiers for his dedication and bravery. He was struck in the leg by a stray Turk bullet in August 1914 but refused to leave the battlefield to have the wound treated, insisting instead on remaining in his dug-out and having it dressed daily until it healed. 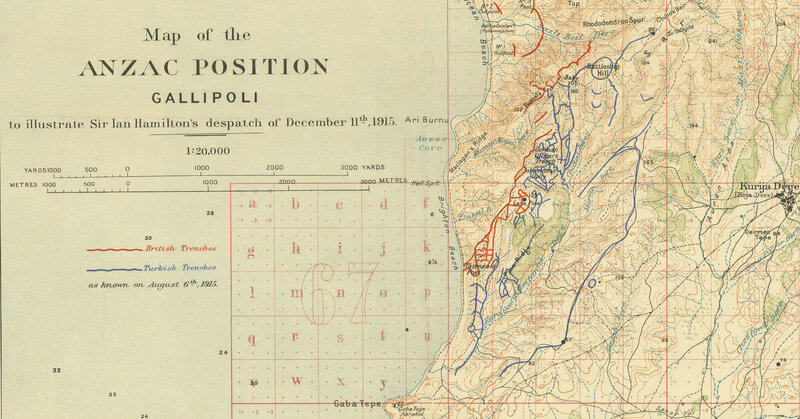 In their earliest survey of the intended battlefront, the Australian and New Zealand commanders had chosen the most hospitable strip of beach on the Gallipoli peninsular as an ideal landing point and dubbed it ‘Anzac Cove’. It was here that the invasion force was scheduled to land and fight its way onshore to establish a beach-head for those who followed, but it instead overshot that point by a mile and a half, creating confusion in Allied ranks. 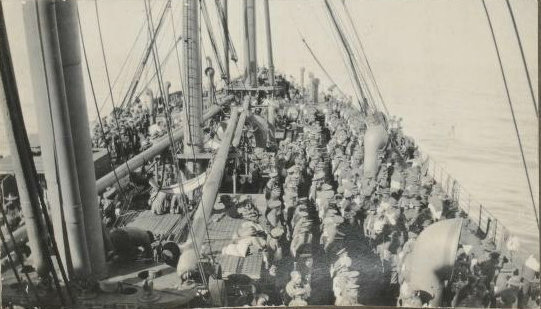 The orders for the fleet were that at around 4.15am on 25 April its ships would each collect batches of soldiers waiting to land from the convoy vessels gathered at the Dardanelles estuary and transfer them to smaller boats which would row them silently to the Gallipoli beaches while it was still dark. That was the theory, at least. The baptism of fire of the young Australians and New Zealanders was an horrific event. 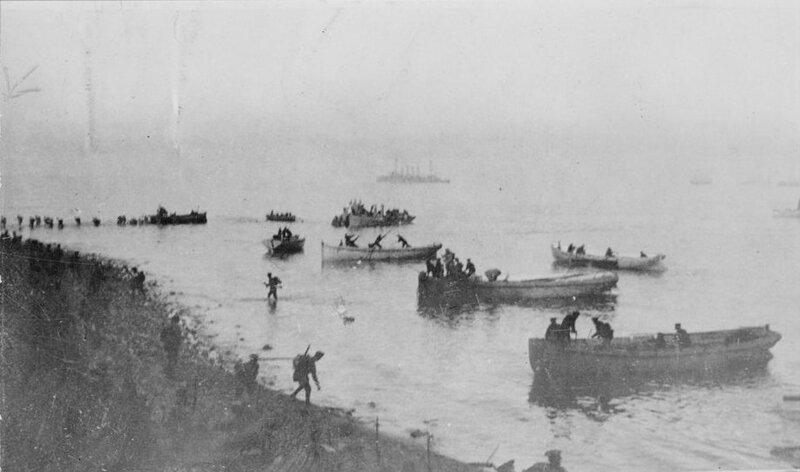 Some managed to reach the beach without unduly alerting the Turkish enemy, but the sun rose soon after and their vulnerability was evident: the small boats were returning to the convoy in the harbour awash with blood and piled with the dead—they had been cut down in a hail of bullets soon after setting foot on the Anzac shore, and some, whose shapes were visible to the Turks as they were rowed in, died even before this. This is an edited extract from a talk delivered by Jill Jolliffe on July 2, 2015 at the State Library of Victoria. Jill is a former war correspondent and author of eight nonfiction books. She currently works as a freelance writer and researcher. 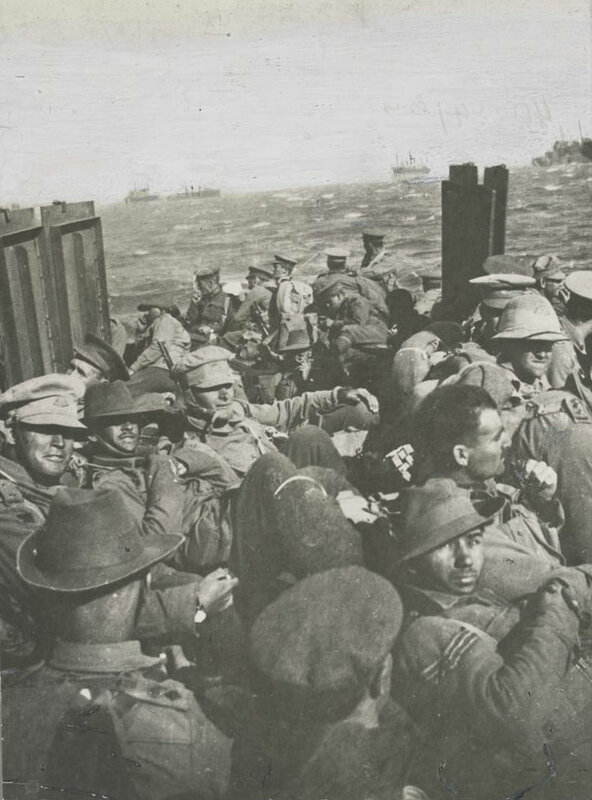 The Library has many resources related to the landing at Gallilpoli, and World War I, as well as a guide to researching Australians in World War I, digitised newspapers and blog entries .